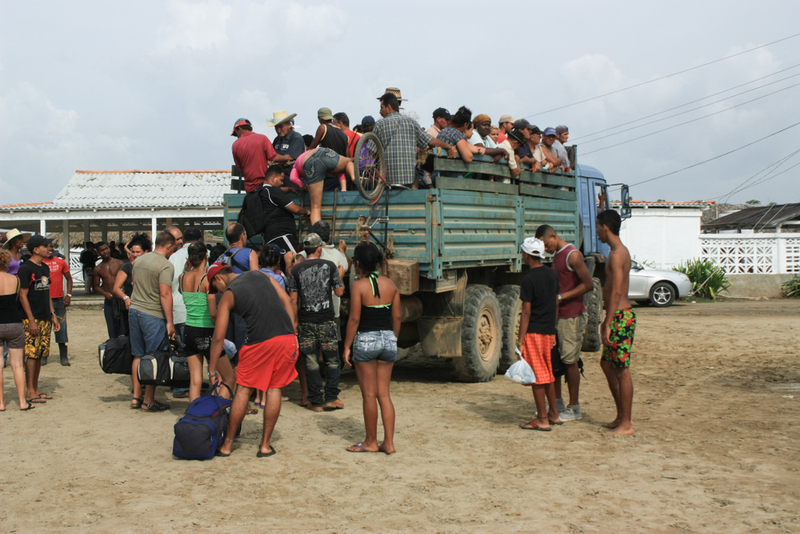 Ciudad Hidalgo, Mexico: Central American refugees boarding a truck on their way north to the US border. On Sunday afternoon a group of hopeful asylum seekers were arrested, and deported, from Mexico after attempting to ‘storm’ the US border. What began as a peaceful protest erupted into confusion, culminating in the US border control throwing stones and using tear gas against the migrants. The criminalisation of migration is not new and – in some parts of the USA – this violent response will undoubtedly be celebrated. For the last month, the world has been watching several caravans travel up Central America from Guatemala and Honduras and into Mexico. These ‘migrant caravans’ carry men, women and children who are hoping to leave cartel operated violent crime behind them and reach the USA as asylum seekers. The latest events only solidify a picture of increasing hostility towards migrants that has been constructed by the President. When Donald Trump says that these caravans are ‘full of very bad people’ he is not being careless – he is reconstructing the image of the migrant as a savage interloper in order to affirm his own position of strength. Of course, in times of instability, the Other has always been an easy scapegoat – but history has told us that when state leaders use the Other as a political tool it can only end in intolerance, fear and eventually terror. Trump’s rhetoric has already had an effect on American society. Post Tree of Life Shooting it is clear that the vilification of migrants as a tangible threat to the ‘everyday American’ has infiltrated the national psyche. This has re-opened the debate on the limits of free speech. Can we really champion free speech, at all costs, when the American President uses antagonistic rhetoric to construct a despotic reality with the USA as ‘strong’ but only at great human expense? Whilst these Migrants travelled towards the USA, a group of American Jews were massacred because they support refugees and migrants. Robert Bower’s distorted vision of HIAS (the Hebrew Immigrant Aid Society) is not unique, the alt-right have been targeting it for some time. Which is no surprise since, as a diasporic people, The Jews have a long history of welcoming the homeless and the hopeless. So it is significant that it would be a Jewish group who are targeted – like Mexicans, Guatemalans, Hondurans, and many others, they too are the suspicious looking foreigners with questionable roots. Of course, what is crazy about this logic is that America was founded as a country for all migrants. But, I hardly need to say this. Racism still abounds in the land of the free, and any community with ‘difference’ can be a potential threat. The USA has always tried to retain its mythology as a place of hope and promise – but only for the select few. As Trump has said they will build a wall and close the borders in order to protect this mythic identity of Americanness. The border between the USA and Mexico has embodied the longing for freedom. Trapped in the vast Sonoran desert are those failed dreams of a better life – the women who are raped during their journey, and abused by American border guards, the men who are beaten, caught and deported. Today, the border is a space of slow death. Here, the migrant’s every move is policed. They wait for asylum. But, Trump has already signed to address “Mass Migration Through the Southern Border of the United States” by making it harder to register for asylum at non-official ports of entry. Trump does not need to build the wall, he has imagined it into existence and so it grows higher. Bella Saltiel is pursuing an MA in Near and Middle Eastern Studies at SOAS. 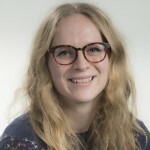 She has a BA in English Language and Literature from the University of Leeds and she has worked with grassroots and human rights NGOs in Greece, Lebanon and Australia. Her articles have appeared in Teen Vogue, Dazed Digital and Suitcase Magazine. Her interests are feminist and postcolonial approaches to migration, diasporas and political violence. She tweets at @bella_saltiel.